Document and Records Management to help you succeed. We understand that records management may not be the first thing that you think about everyday, but it is always the first thing that we think about, which is why we've been trusted by hundreds of companies to address their document management needs. We offer document scanning services, off-site document storage, medical records custodian services and document management software . It's our goal to help organizations reduce costs, improve efficiency, and start to deliver on the promise of the paperless office. Our services address all of your records management needs, so that you can focus on creating value for your business. Medical Records Scanning Services help Healthcare practices prepare for the transition to the Electronic Medical Record, or EMR, by scanning Patient Charts into digital images that can be searched and retrieved with just a few mouse clicks. For the practice, The Results are Improved Patient Care and Reduced Operating Costs without the burden of purchasing equipment or hiring additional staff. Our combination of Outsourced Document Scanning and File Storage with Scan On Demand provides you with lower costs and helps to accelerate you return on investment. Find out how our Medical Records Scanning Services can help your practice today. Document Scanning Projects usually begin the same way. It seems easy enough to convert paper using a scanner, but the truth is that there's a lot more that goes into the scanning process. Our Services alleviate your headaches and let you rely on our team to handle your document imaging needs. If you're looking to outsource your Document Scanning, our services can help support your imaging project and provide you with a cost-effective alternative to purchasing equipment, training staff, and doing the work yourself. Learn more about our Document Conversion services and how they can help your business. 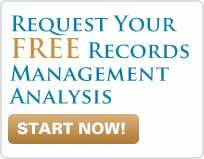 Whether you have decided to close your practice and retire, or join a group or Hospital Organization, the responsibility for maintaining and securely releasing Patient Medical Records to authorized requestors continues well beyond your closing date. The responsibility even passes to the executor of the estate of a deceased physician. There are very specific rules that vary from State to State regarding the length of time these records need to be maintained, regardless of whether they are still in paper form or have been maintained electronically or both. In addition, requestors of Patient Medical Records for a closed practice often include Insurance Companies and Law Firms, who require the chart for litigation purposes. Shoreline Records Management offers a comprehensive Medical Records Custodian Service which supports our Customers through the process, from the day the practice closes, transferring responsibility through the life cycle of the records. Physicians and their families can enjoy retirement without having to worry about properly maintaining an archive of paper and electronic charts, or responding to requests from Patients and their authorized representatives.